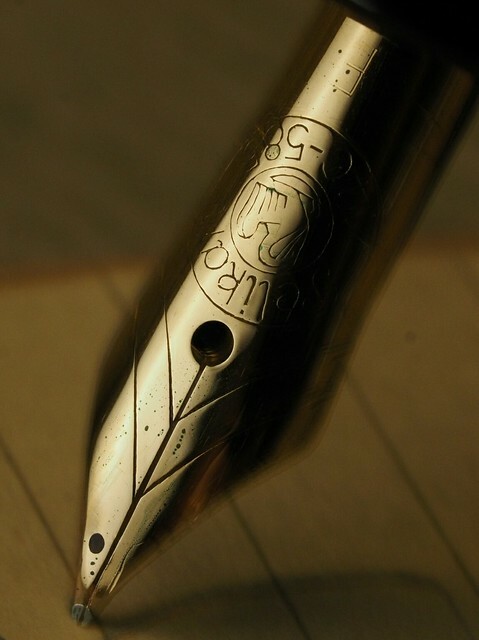 Pens and Sensibility | Fountain pens and more. 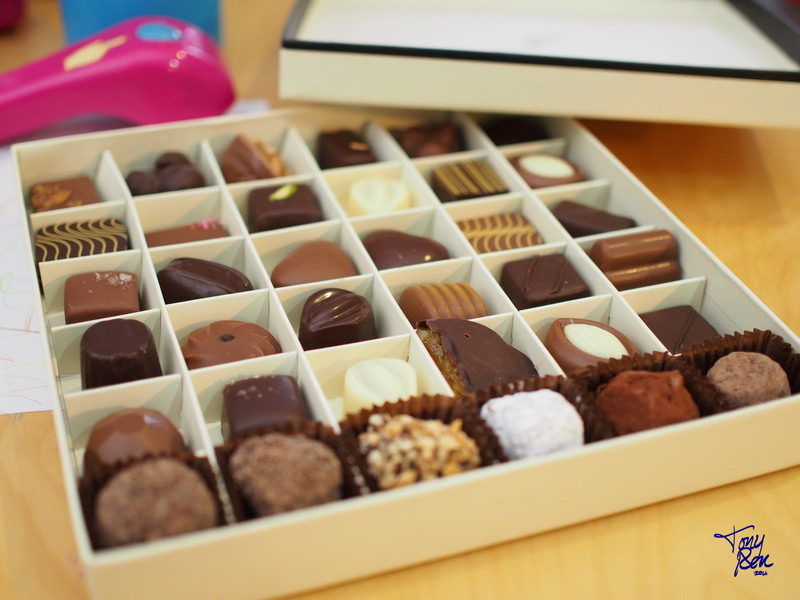 I have been busy with life and other preoccupations. I am sorry for the lack of update. On the other hand, now that I am into photography, I can present you with photos such as this one. The ink is Pelikan Ink of the Year 2018, Olivine. Cheers. A new PanaLeica 15mm/1.7. and my trusty 20 yo Swiss CyberTool. 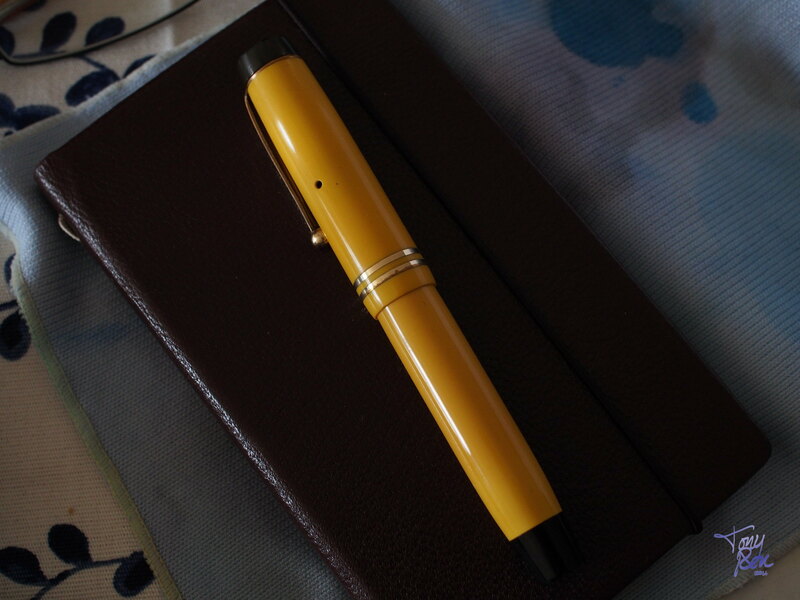 I reckon anyone can get by with just a modest PILOT Custom 74 for their only pen. 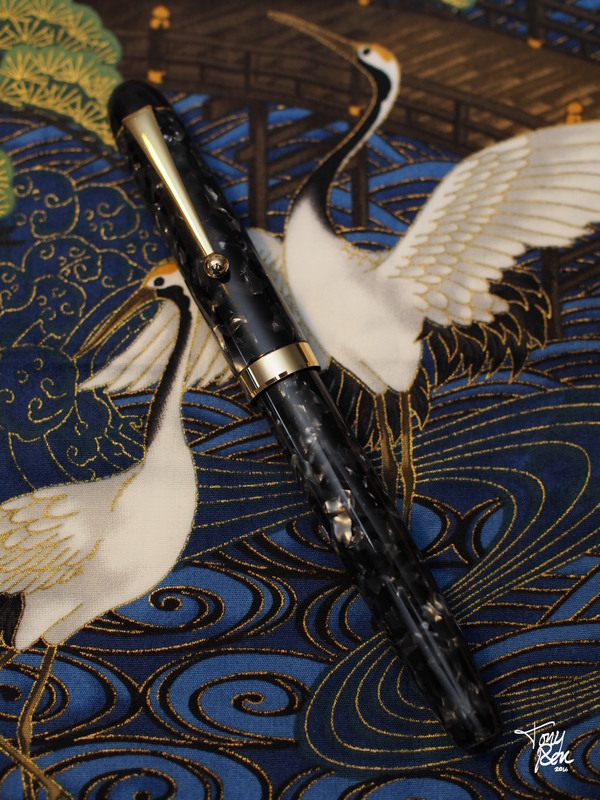 If I didn’t want to get more than ankle deep in the hobby, I’d just buy a Custom 74 (or two) with the nib of choice (this one is a MS or Music nib) and a jar of Sailor Jentle, which happens to be Shigure here. 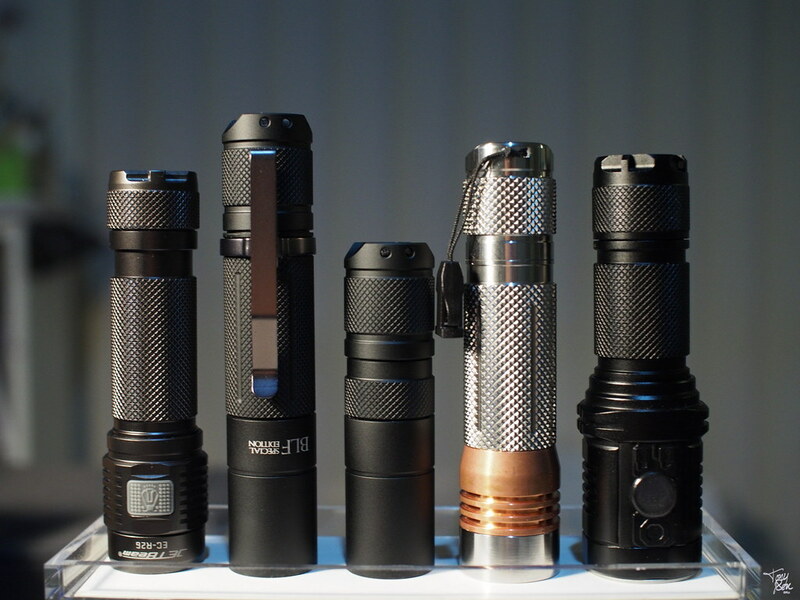 A few months ago I thought that it was time to upgrade my supermarket grade flashlights. They are big and heavy, and uses expensive D cells. Rechargeable D cells aren’t cheap and they need another big charger, since my existing Maha C-9000 can’t charge D cells. 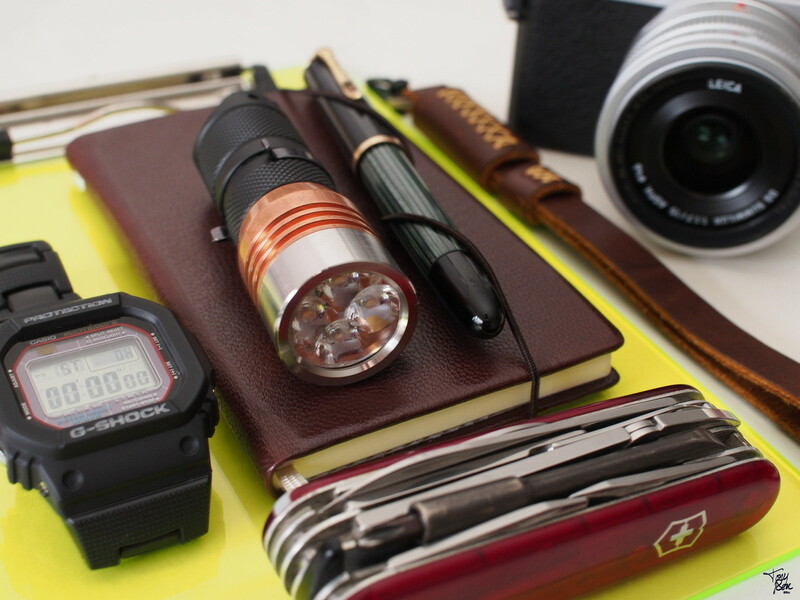 Enter Astrolight A01 Copper (BLF Edition). 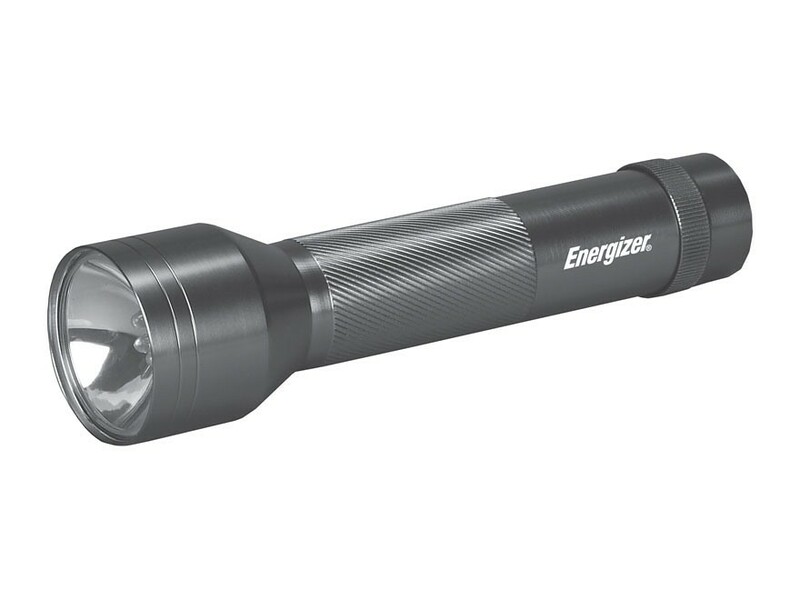 At the time, the demi Parker “51” was in rotation, so it had influenced my first serious flashlight purchase criteria. 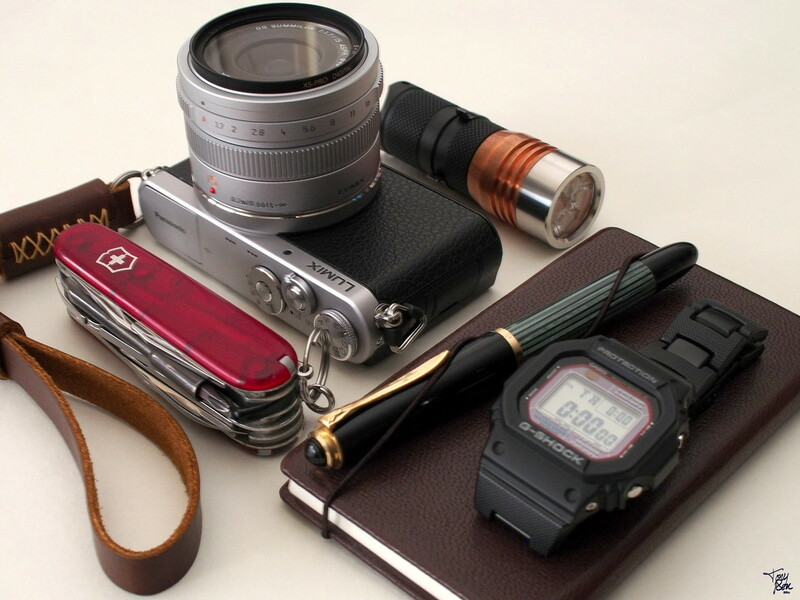 For example, I’d avoid big lithium powered ones, definitely nothing too small like my keychain led light, etc.. 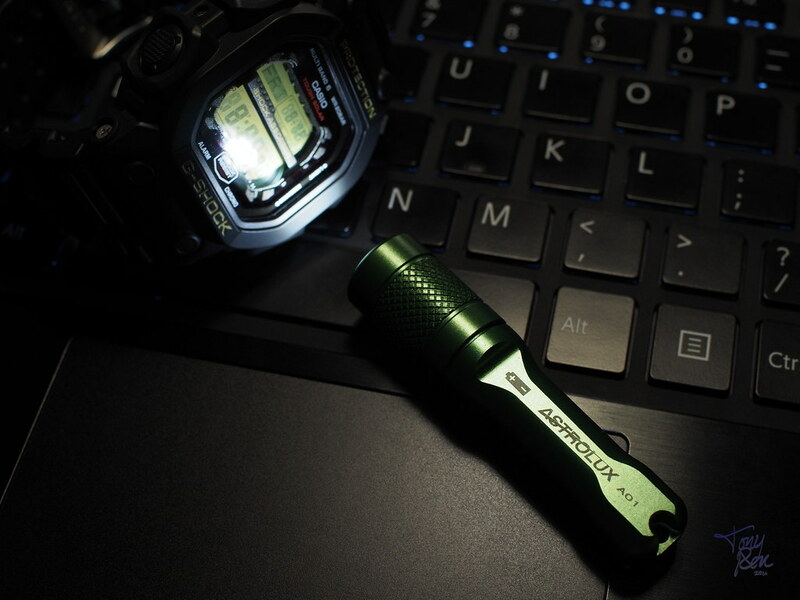 Enter BLF/Astrolux A01… Bottom line, something practical. The green one above is the Aluminium version. The same everything except the build quality. Twist to turn on, quick on-off to change mode. Moonlight (1 lumen) – Med – High (about 100 lumen) – Strobe. 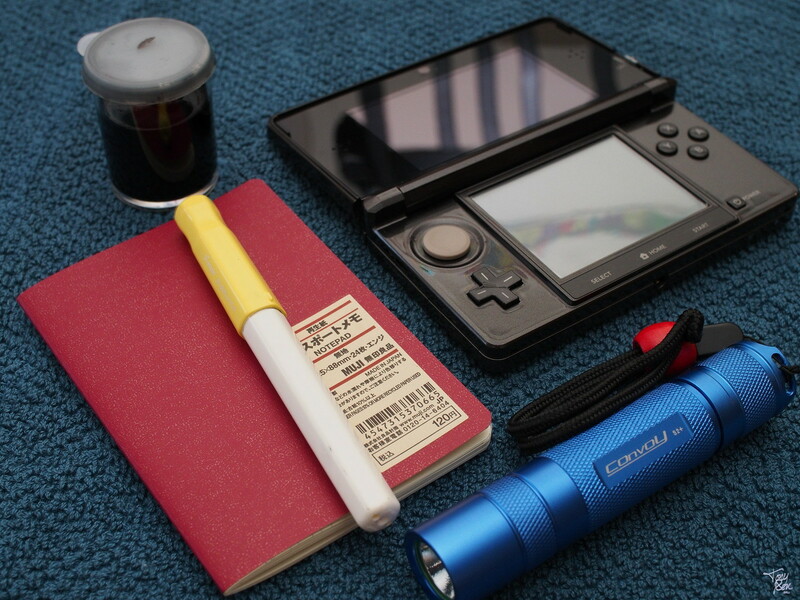 No memory, so it always starts at moonlight (very dim) the mode. Shown in medium beam. 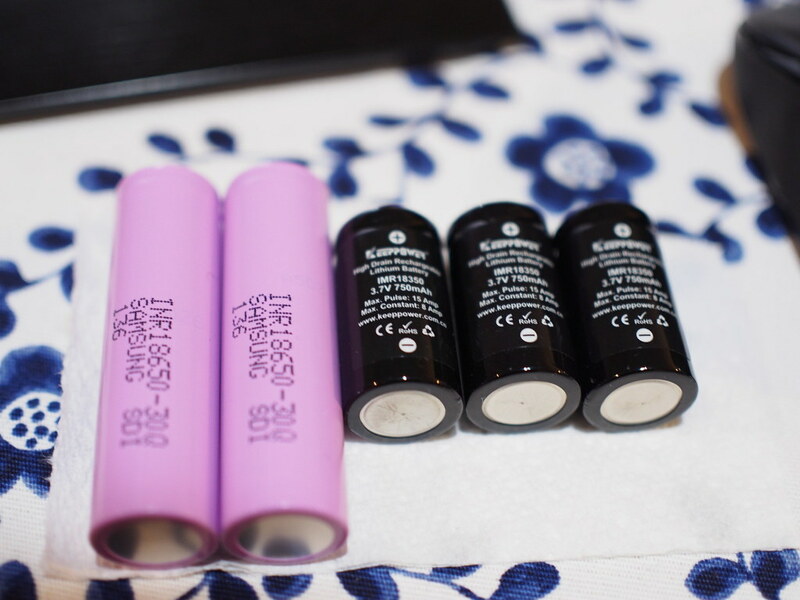 Did I say I don’t want big lithium batteries? Well, that didn’t last long. 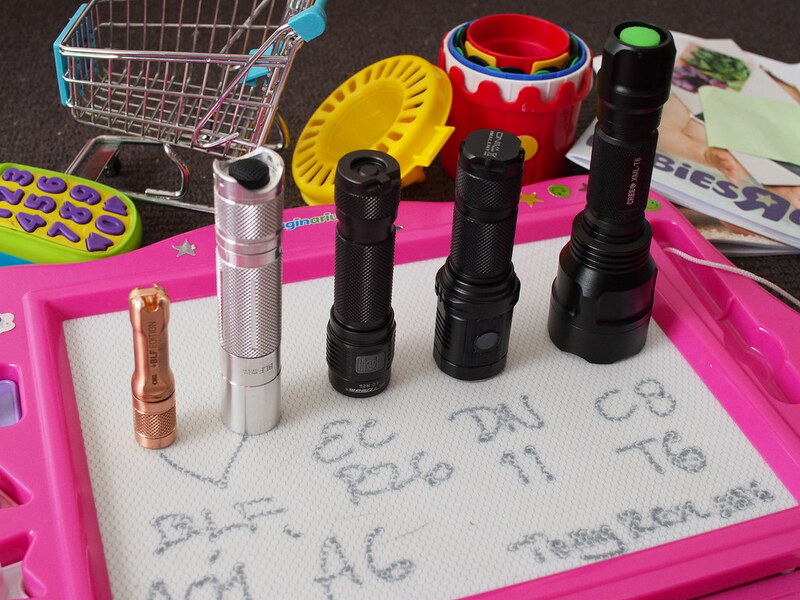 I soon bought these batteries and about four more 18650 flashlights, and another four protected cells for gifts. Then I added four more 30Qs for spares. *At the time, I was at this point plus a few others not shown. Soon enough I was looking for a “practical” USB rechargeable model. Something that has a built in charger. 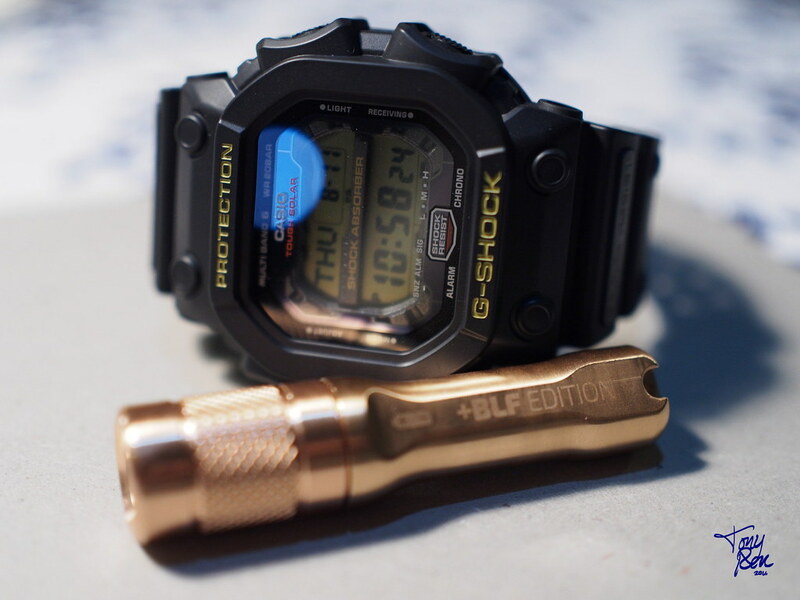 Mini review: It is small and short, comes with a free battery, USB rechargeable, smooth reflector, and has a quick turbo shortcut. 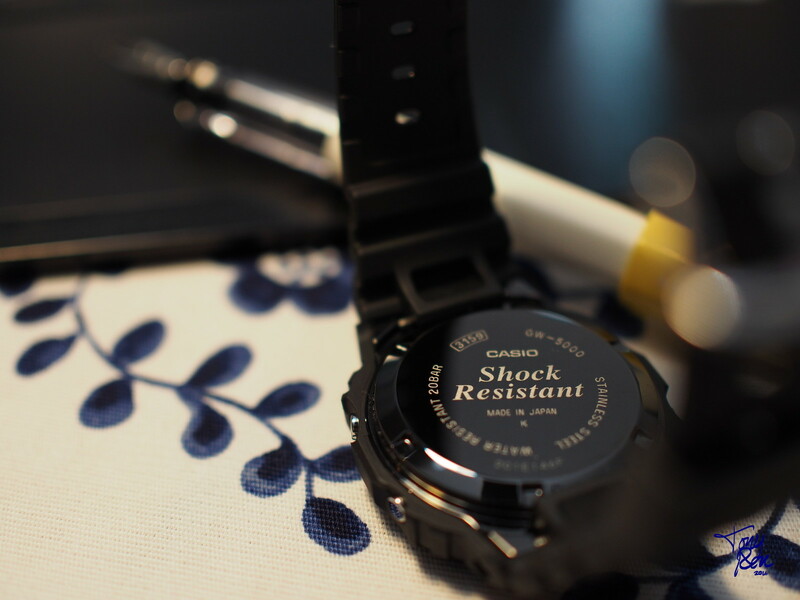 I like this one a lot, despite the shortcomings, such as the press and hold to turn on/off (I prefer clicky) and the cost. At this point my whole torso was in the rabbit hole. I needed a separate lithium charger. Shown above the LiitoKala Li-100 units. 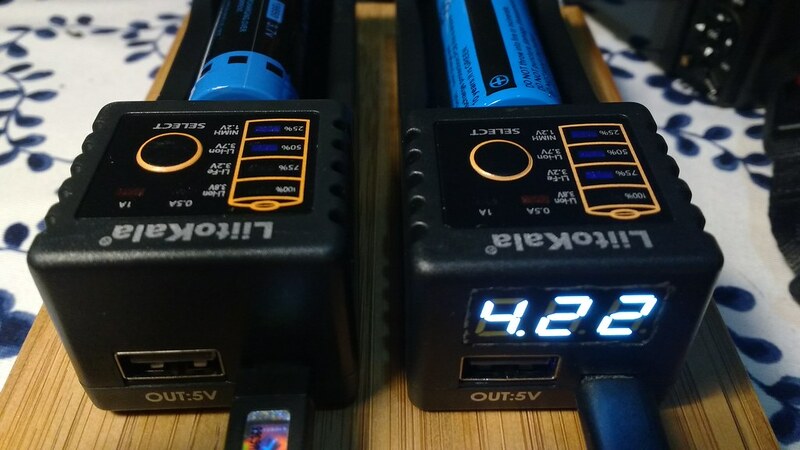 I modified the one on the right to include a mini digital voltmeter (and a switch) in order to avoid over charging on some batteries. *The current state of affairs. 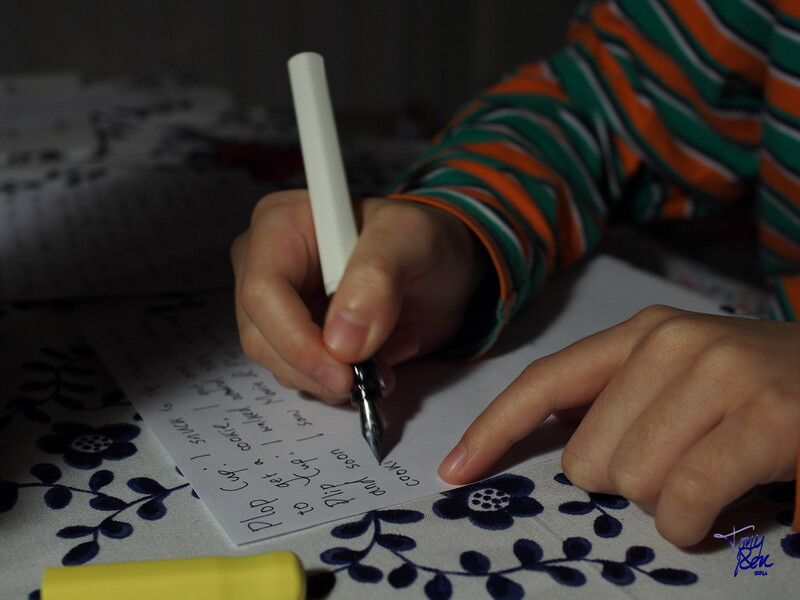 Guest post by my ten year old daughter Lily. 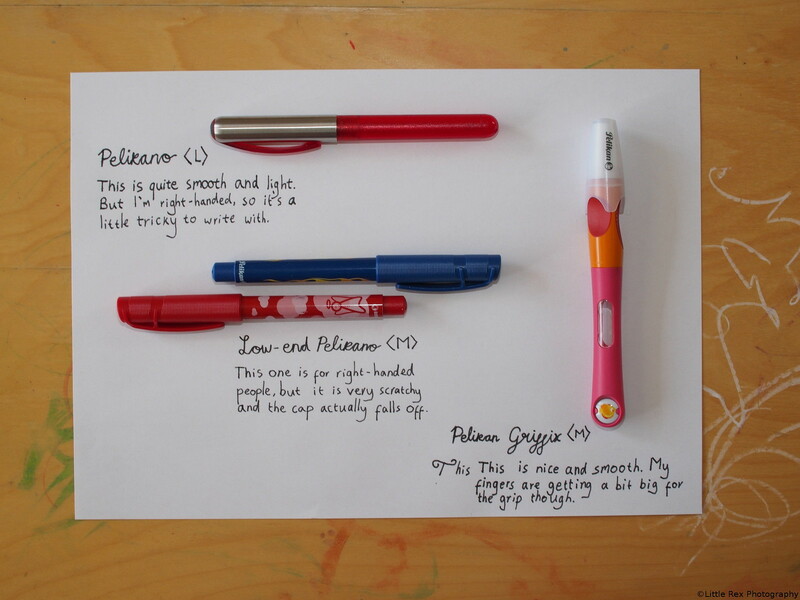 She has been using fountain pens since five. 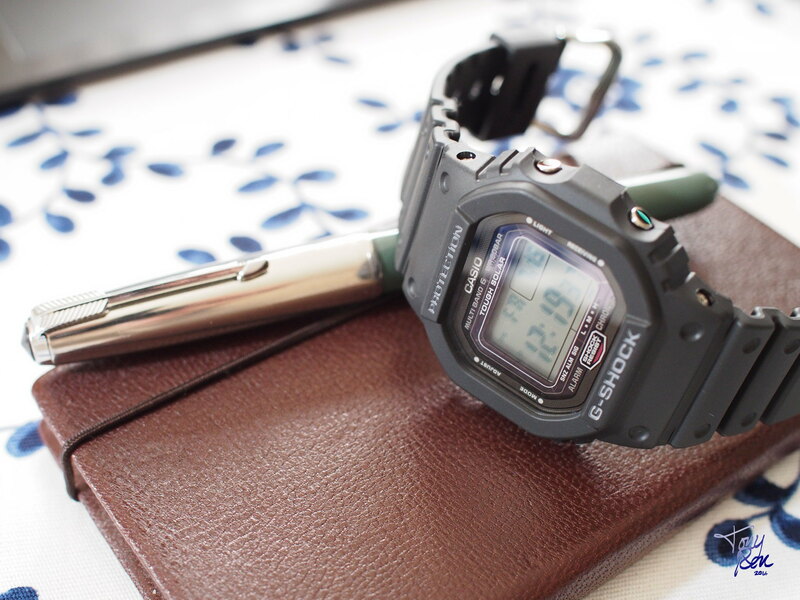 She currently writes and doodles with the PILOT Kakuno most of the time. She consumes a lot of ink, so I rationed her PILOT black, which she refills her CON-50 with every 3-4 days. I hope you enjoy her written review. 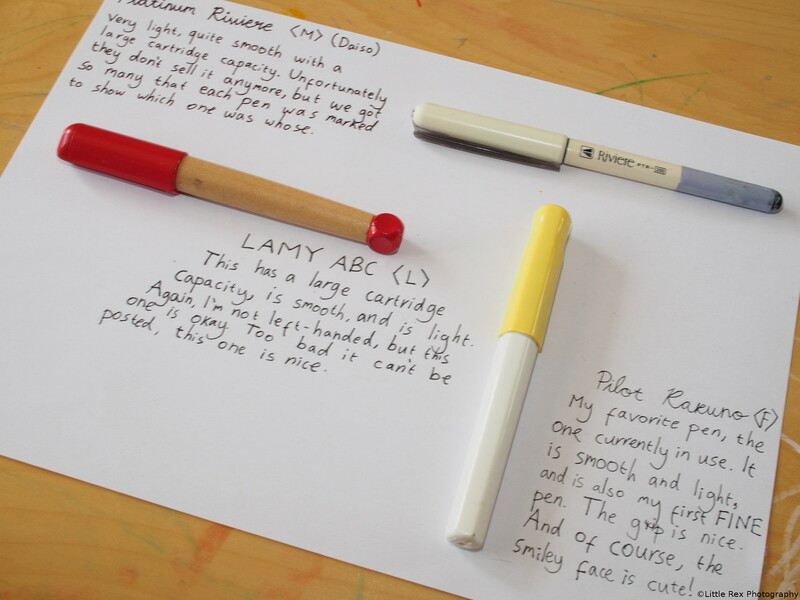 The pen is not new. I’ve had it for ages, but the watch is brand spanking new! 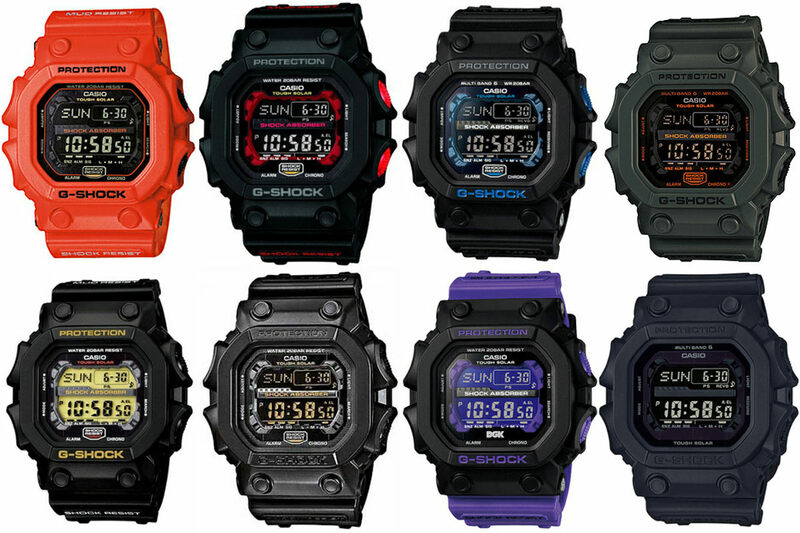 It is by far the largest square and among the largest of large G-SHOCKs. 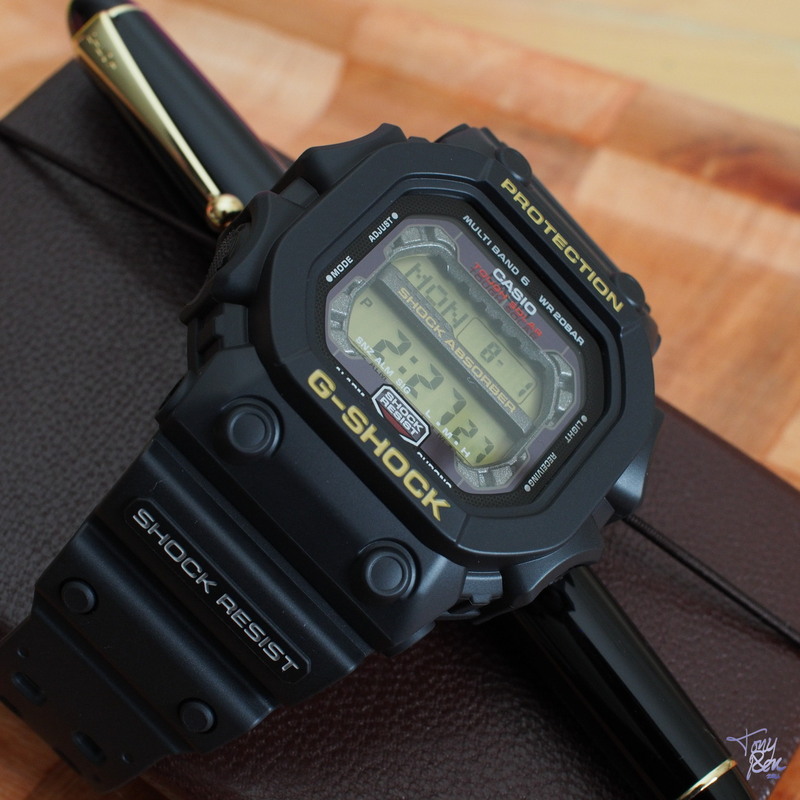 Thus the GXW-56-1BJF is also affectionately known as the “King”..
As far as I know, the Multi Band 6 models like mine are JDM only, whilst the GX-56 (Without the W in between) were sold outside Japan. 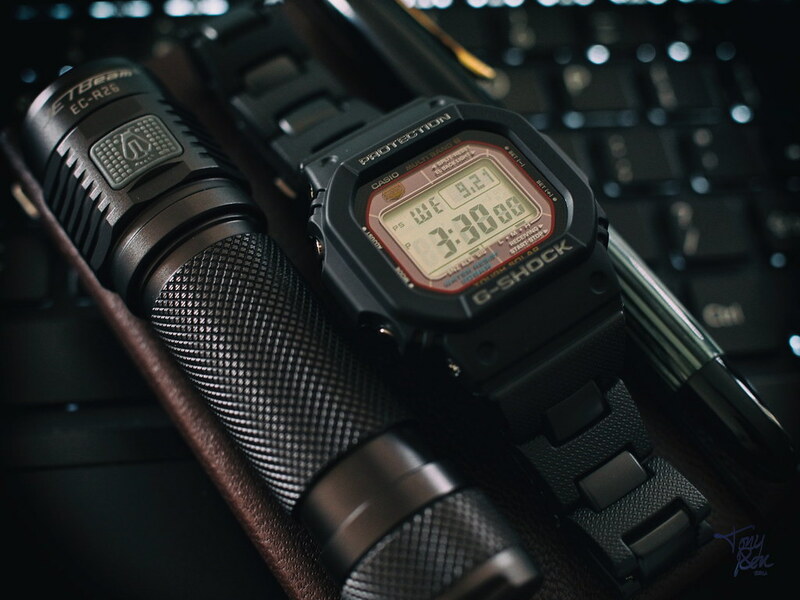 However, unlike the very high end like GW-5000s, the Kings were made in either Thailand (like this one) or China (recent models like the BBs, see bottom right). I by far prefer positive display LCDs, and as you can see, it’s the only one among the Kings. Mine is an old stock made a few years ago, and had been discontinued says my daughter’s Machop. Or would you rather have some inks? 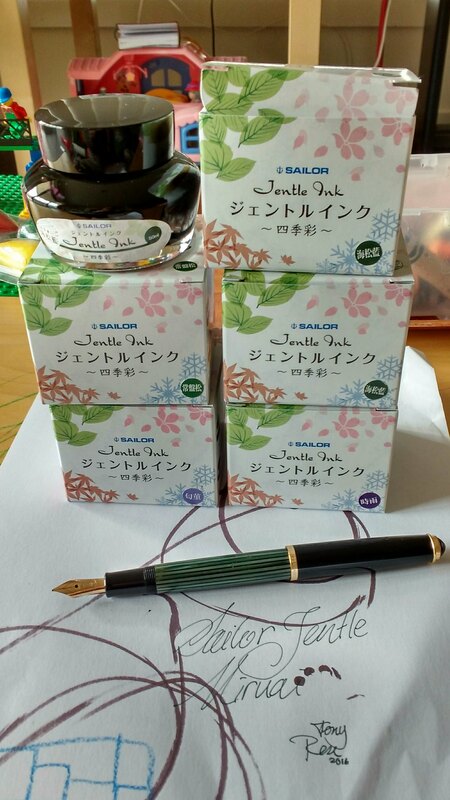 I’ve just restocked on some Sailor Jentle “new” colours. 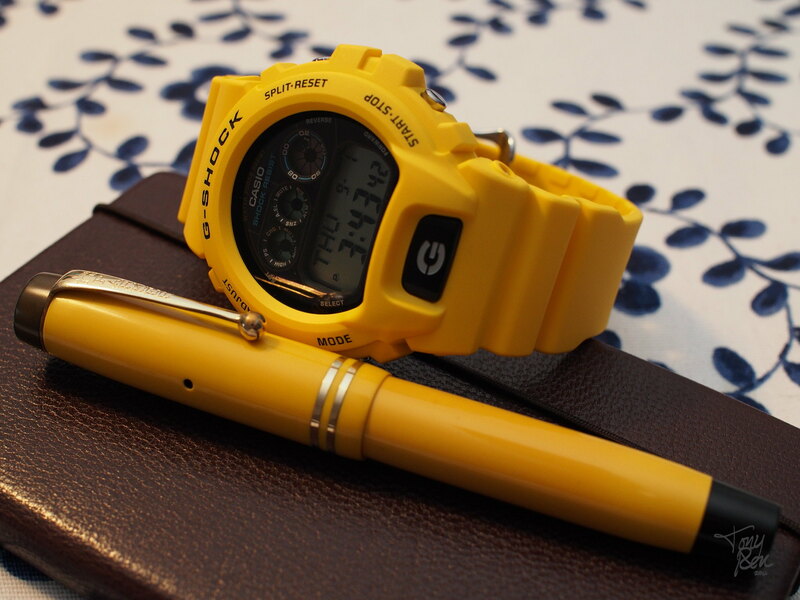 Normally, the watch is worth several times than the pen in a combo. But for some reason, mine are always there other way around. 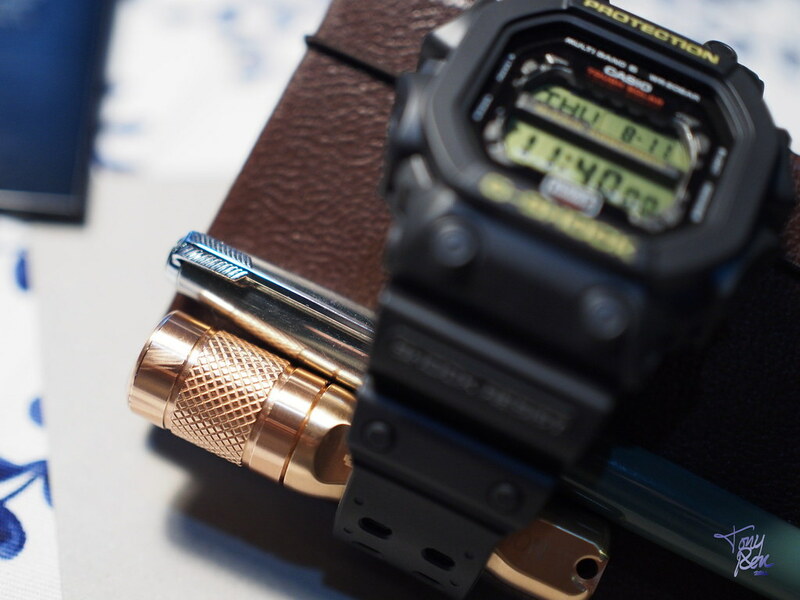 I reckon, the two year old watch would compliment the eighty seven year old pen quite nicely. And the black and yellow theme matches Bruce Lee’s famous jumpuit from the Game of Death (1978) movie. 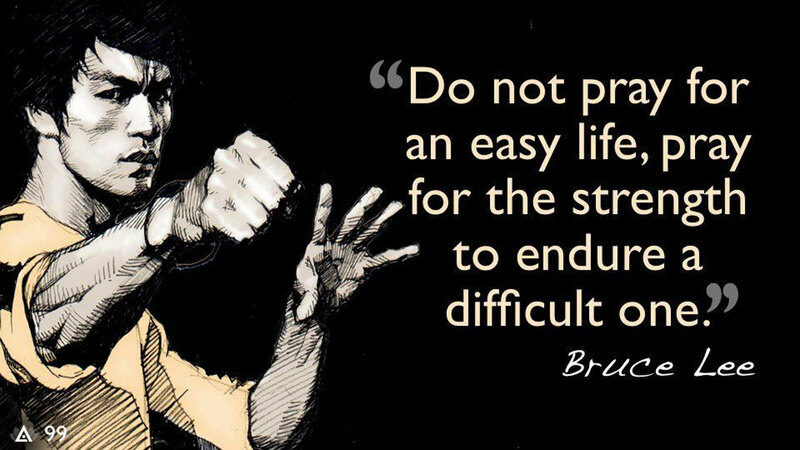 Meme quote taken shamelessly from actlikeaman.org — which I found while searching for Bruce Lee’s yellow jumpsuit to match the theme of this post — Coincidentally, my views happen to be in accord with the above blogger (and Bruce Lee’s) in terms of total reliance upon God for strength. My daughter dropped her favourite PILOT Kakuno on hard tiles. Needless to say I was furious! After giving her a refresher on basic fountain pen care, I got to work on massaging the tines back. Tuning the flow back to the factory specs was easily the trickiest part, but soon after that the pen was back to normal. It wasn’t so bad really, but the whole process still took a bit more than two hours. 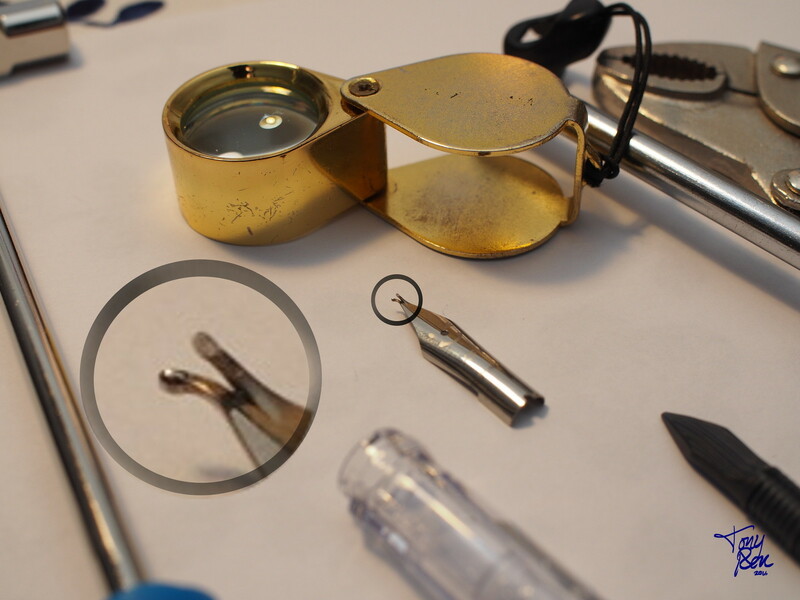 Steel nibs are much harder to work on than the gold ones. 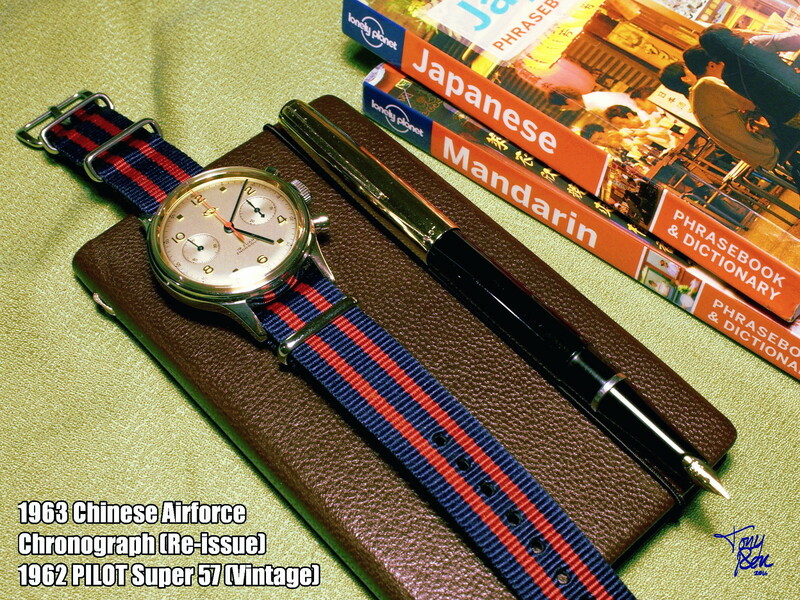 Just a quick update, because I’ve been busy with watches lately. 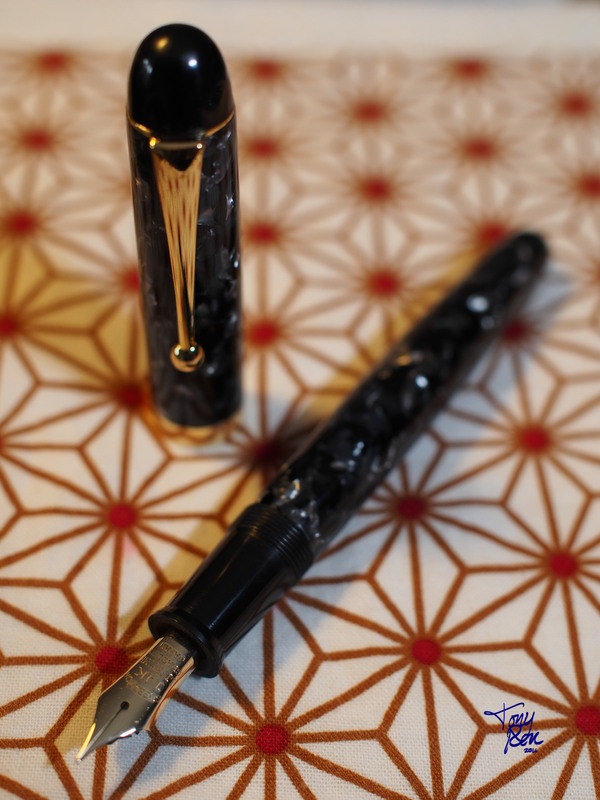 Here is my “new” old pen and brand new baby. 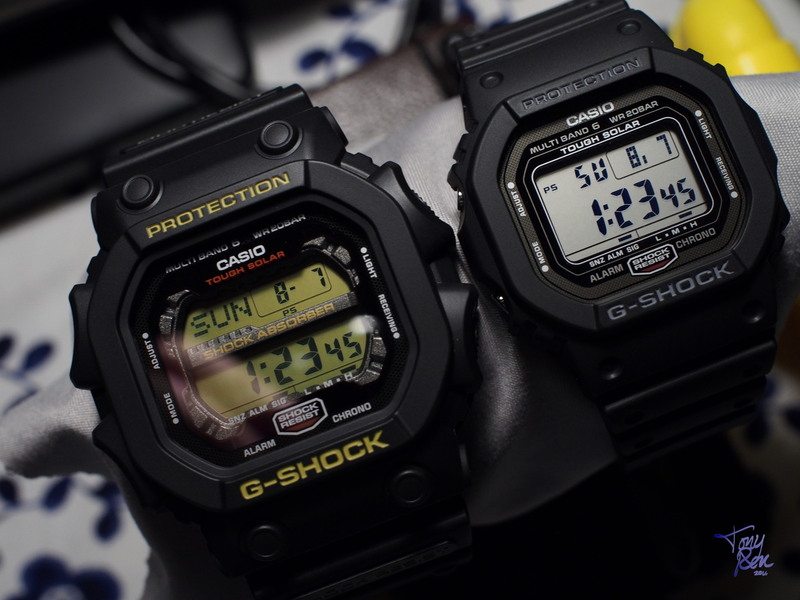 The watch is the top of the line of the square G-Shock “Origin” series, made in Japan for the Japanese domestic market. 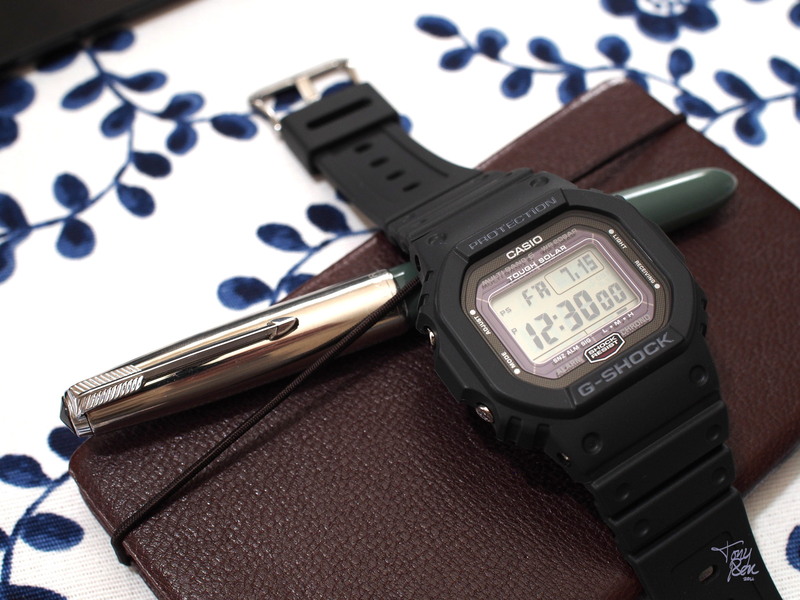 It cost about almost seven times a normal DW-5600 that looks exactly like it, but hey… I’m shallow… I like the discreet luxury while looking like an assuming bumpkin. Ha ha. 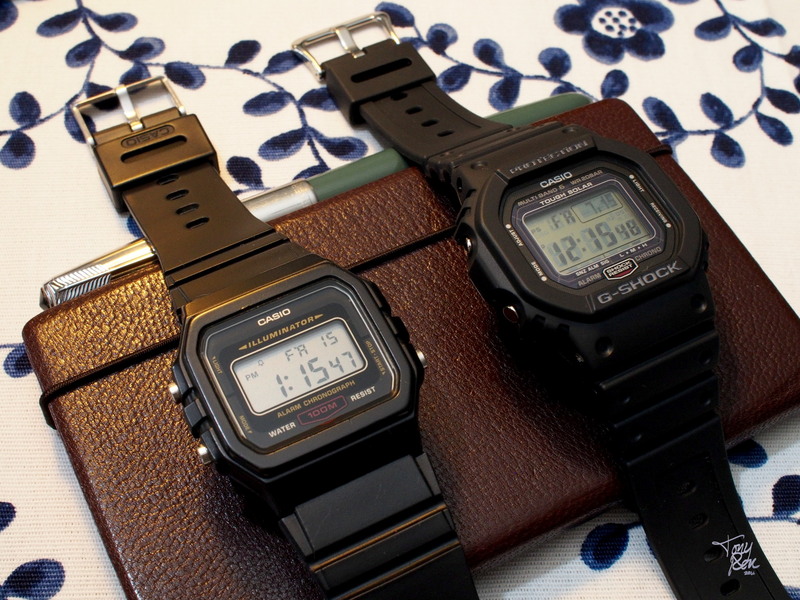 The left one is my old and trusty “vintage” W-741. It is well worn and deserves a quiet retirement. 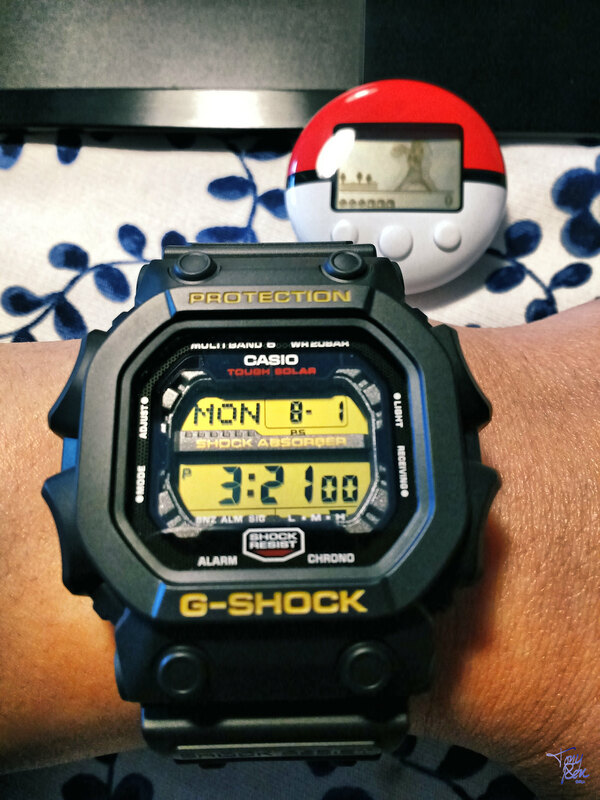 As you can see, the new watch that’s worth 20x the price still can’t beat it in terms of viewing angle readability. But don’t get me wrong, I still reckon the new one was worth every cent. By the way, the P51 is different from the other navy grey I have. 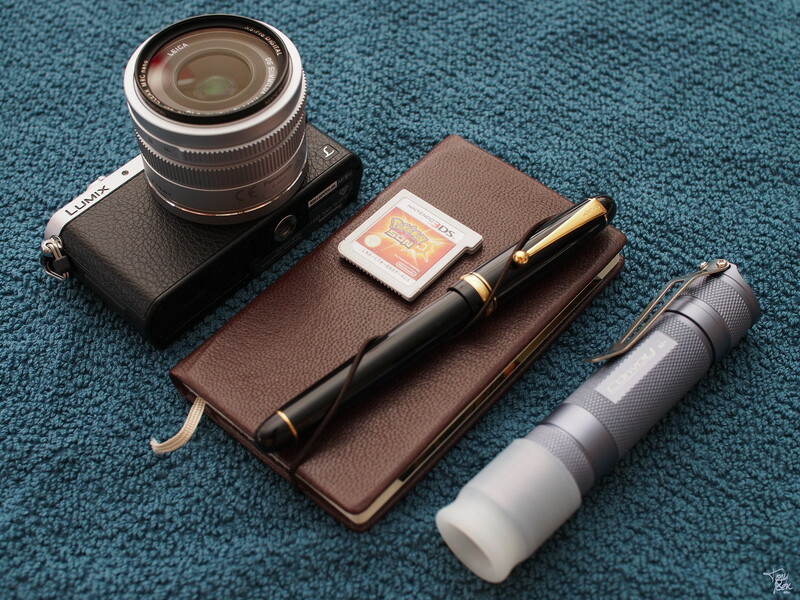 This one is a demi, a shorter portable model made for shirt pocketses (sic). 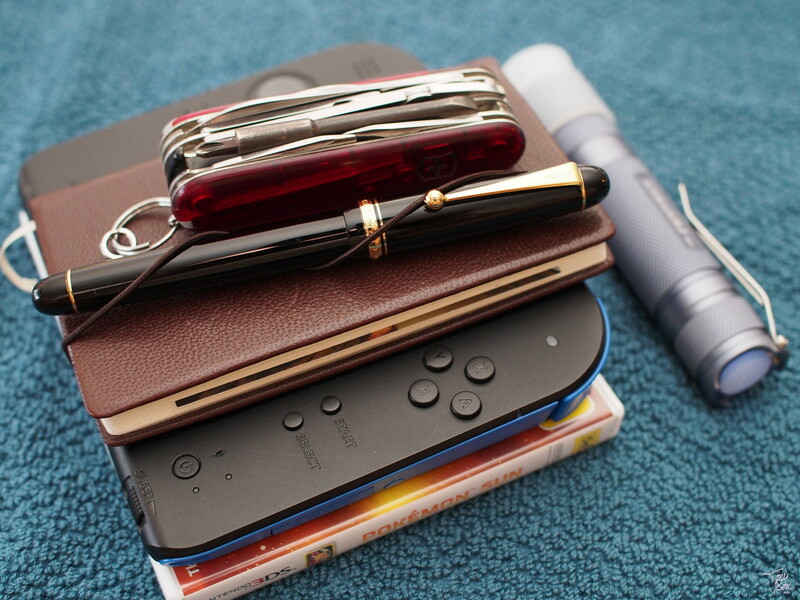 As you can see, the length fits nicely with Design.Y 216 pocket notebook, which is another discreet luxury. As you all know, I have special penchant for the works of Mr Kiyoshi Kato (may he rest in peace). I have posted one of his labour of love before (Model 580F), and some I have not. But now it’s time for the largest one I have: Model 2000. 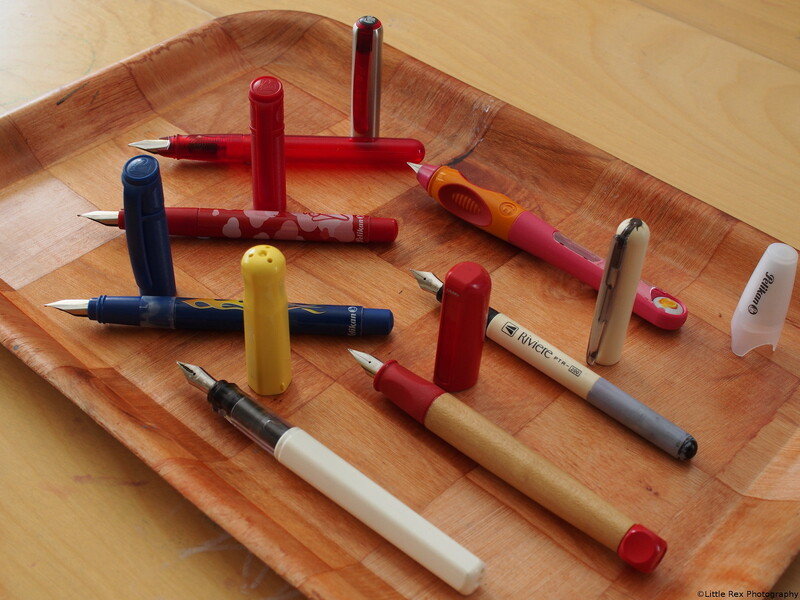 If you are interested in getting to know more about these, please refer to the Crónicas Estilográficas blog, which I can’t recommend highly enough for Japanese pens: Model 2000. 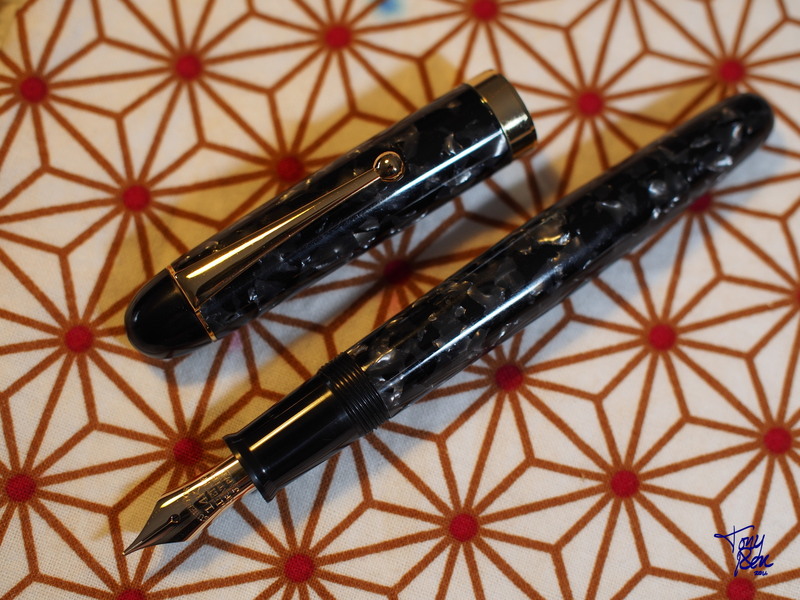 If you had a closer look, you’d notice that the marble celluloid of the pens being made was the same as my pen, but in different model. 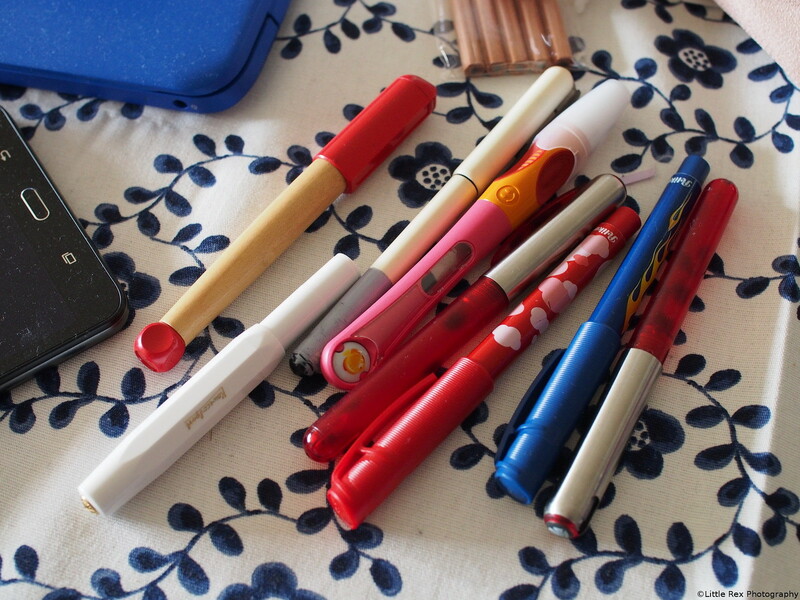 Those pens were smaller and have an ink window, and might be piston fillers. I need to find one of those.